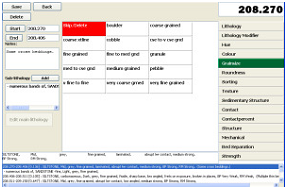 The Core Logging System enables information to be gathered on the lithology and structure of the core efficiently and be recorded in a database with photographs. A Borehole Survey Tool that takes several forms. In each case it contains triaxial magnetometers and accelerometers to determine the inclination, azimuth and tool face angle. The Sigra core logging system is designed to speed the process of creating accurate core logs. In its initial form it is designed to handle HQ core. The core is pulled and the split holding the core is either used directly or the core is rolled into temporary splits. The use of splits minimises core disturbance. The split and core is then placed onto a cradle which can then be placed on to a roller table. The cradle and core are moved on the roller table with all distances being recorded by a wheel which engages with the bottom of the cradle and measures to millimetre accuracy. The lithology and joint description is made by the geologist, who uses a menu driven software program to input information to a database, which also carries distance information and photographs of the core. Thus an integrated core log is created. 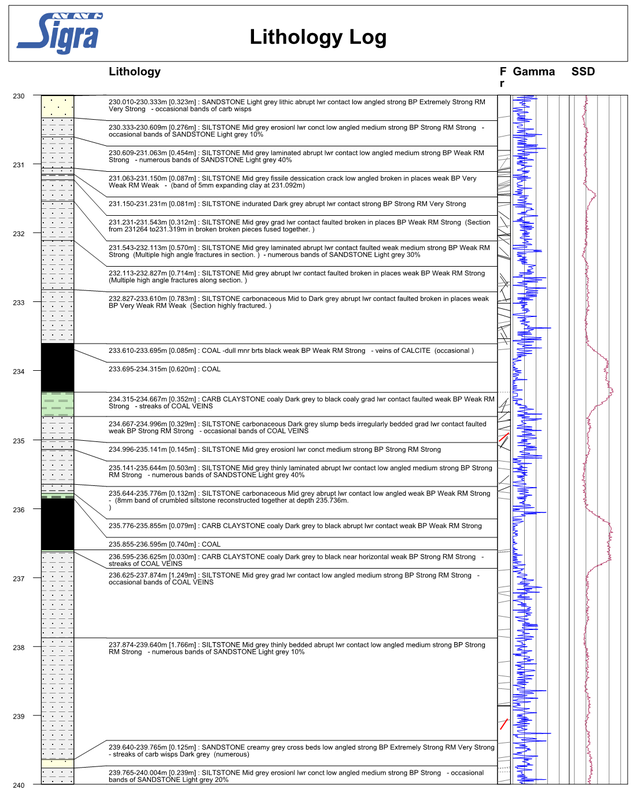 Following logging the core may be either kept in its 3 m long splits or moved to conventional core boxes. The system is currently being used by Sigra in its operations.